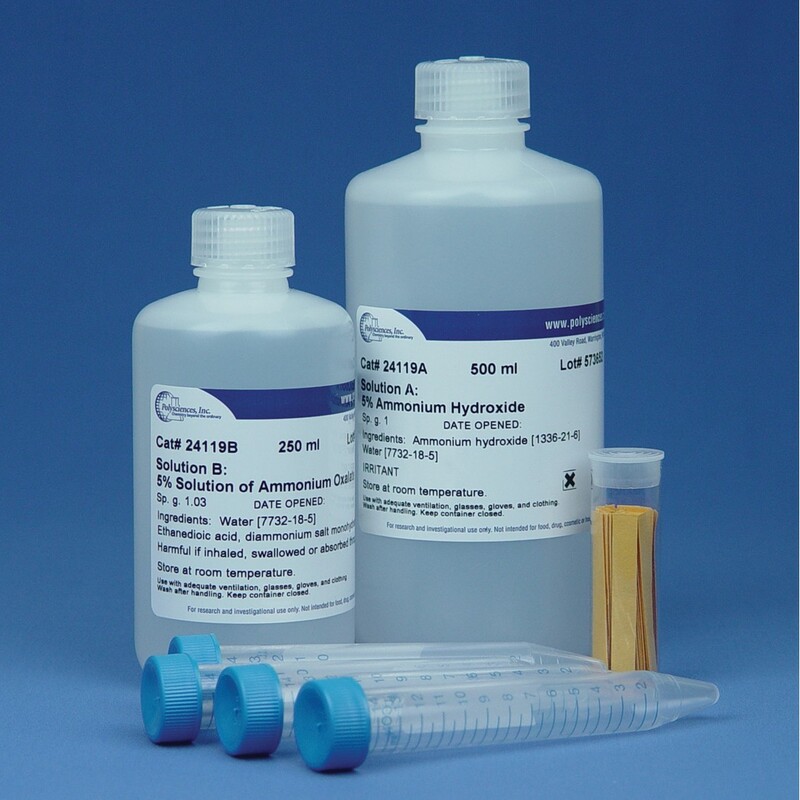 Poly-NoCal End Point Determination Kit | Polysciences, Inc.
Control of decalcification is an important part of tissue morphology. Over-decalcification interferes with nuclear and cytoplasmic staining and also destroys cell structure. Under-decalcification causes poor dehydration and infiltration during processing and also results in sectioning problems. The Poly-NoCal End Point Determination Kit includes all the necessary materials you need to determine endpoint decalcification, accurately, consistently and conveniently. While actual use conditions may vary, each kit typically performs approximately 200 tests, helps to save you time and money and increases productivity.